All prices stated are per night and per room, and include buffet breakfast and applicable VAT. Prices may vary depending on the season. All information is subject to change (valid from 1 January to 31 December). (in an additional bed in the parents’ room. We provide a large, free car park for guests’ cars as well as buses. This is located directly in front of the hotel. Free Wi-Fi is available throughout the hotel. 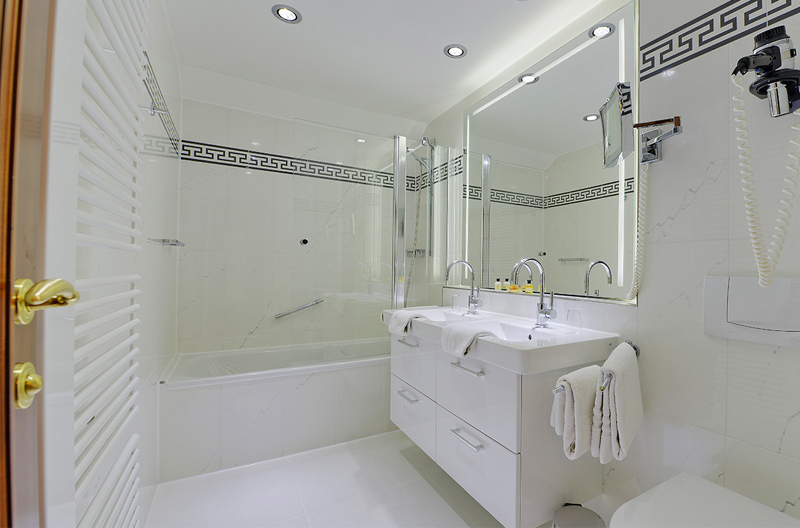 Our modern bathrooms are fitted with a bath or good-sized shower as well as a vanity mirror. Rooms come equipped with a flat screen TV, telephone, minibar and lockable cabinet. 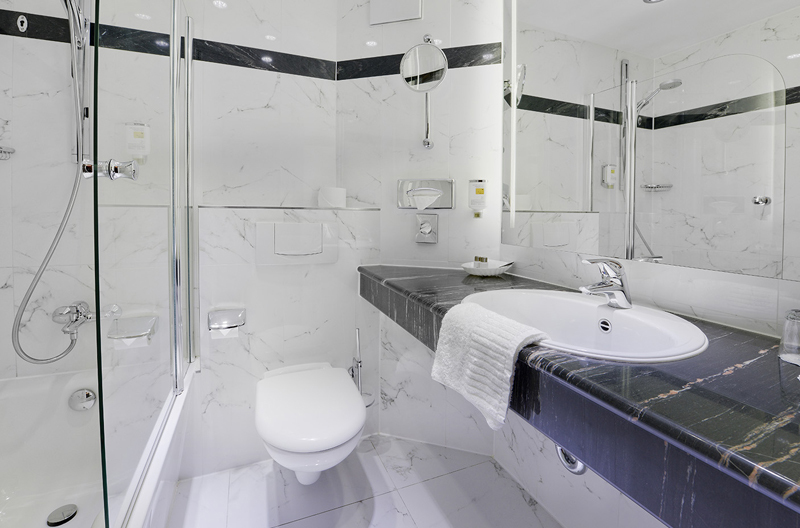 Our accessible rooms have been designed to comply with the latest standards. Use of the in-house Roman steam bath is free of charge. For guests who expect only the best in terms of luxury and service, the Admiral’s Suite is the perfect choice. This suite has recently been redesigned and is now a veritable oasis of wellbeing. With separate areas for lounging/work and sleeping, the suite’s classic English colonial design, luxurious Versace-style bathroom and comprehensive service package create the perfect setting for successful business trips or relaxing breaks. And finally, you can enjoy 2 flat screen TVs offering a variety of international channels as well as free Wi-Fi. 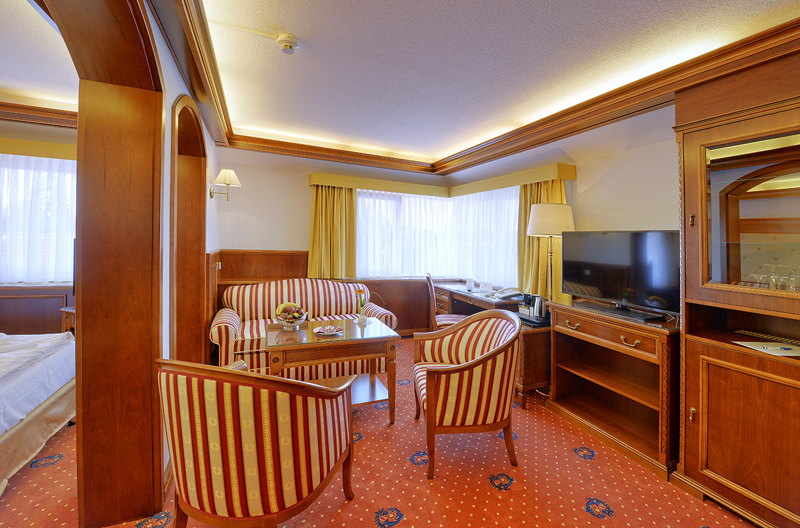 Savour your stay in our Admiral’s Suite; spend a few successful and relaxing days in the Hanseatic city of Stade. *Please contact us for help by organizing a bus coach. Enjoy a well-earned weekend away, relish in culinary delights and leave your worries far behind. Take the Moor Express between the "Teufelsmoor" ("Devil’s Moor") and the "Altes Land"
A historic old city near Hamburg in the "Altes Land" ("old country") region. lovingly restored half-timbered buildings, romantic alleyways and gardens in typical North German surroundings, with a wide range of attractive destinations. The "Altes Land" with its picturesque landscape and core fruit-growing area, Cuxhaven, Hamburg and Helgoland are definitely worth a visit, whatever your reason for travelling. Well-maintained and signposted cycle paths also run beyond the city limits, along the Elbe river all the way to Hamburg. Sightseeing tours of the world-famous Arp Schnitger organs in Stade, as well as the "Altes Land", galleries, the Fündling gallery in the Bürgermeister-Hintze-Haus, the Schwedenspeicher museum, Heimatmuseum (local history museum), Freilichtmuseum (open air museum) and much more.